This winter’s severe weather has many bird owners re-thinking the ways in which they provide heat to their pets (and to themselves!). Late winter, spring and autumn can be even trickier than mid-winter, as warm days and frigid nights often arrive back-to-back. Note: be sure to check with an electrician before adding any heating elements to your home, and to follow the manufacture’s directions carefully. When using heat bulbs, be aware that household fixtures may not be suitable – most require the use of a ceramic fixture. One of the best options for heating entire rooms is the oil-filled radiator. 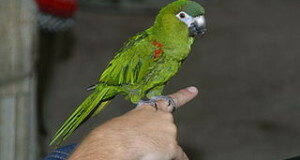 I have used these with great success in bird and reptile holding rooms in several zoos, as well as at home. Oil-filled radiators provide even heat throughout the entire room, so that extra-hot or cool spots are eliminated. They are especially useful for those keeping several birds, as the need for individual bulbs and fixtures for each cage is eliminated. I have also relied upon oil-filled radiators when living in especially cold or drafty homes, as operating one was less expensive, and more effective, than heating the entire house. I’ve not compared the various brands, but have found DeLonghi Oil-Filled Radiators to meet my needs admirably. I especially like the fact that their thermostats, once set, maintain temperature without further adjustment. 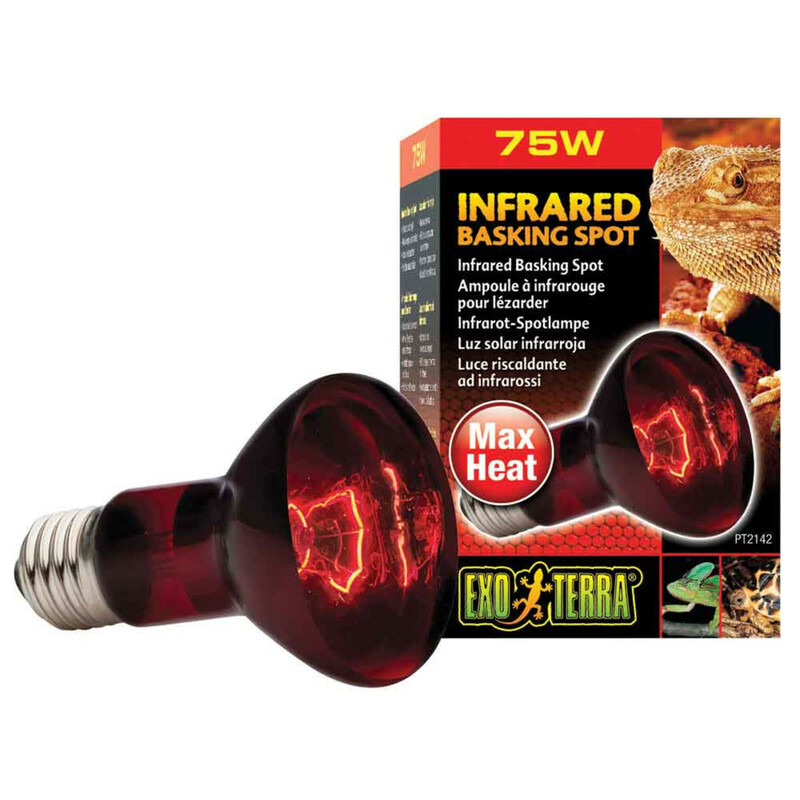 Heat-producing bulbs are generally associated with reptile care, but they are widely used in zoos to provide a warm spot for birds. While they can heat entire cages, their main value lies in their ability to provide a warm “basking site”. As most birds are kept in open-barred cages, incandescent bulbs are perfect for providing some additional warmth without over-heating the entire enclosure (as can happen in glass aquariums housing reptiles). They are also useful for sick or newly-fledged birds. Several models provide UVA light, which has been shown to be of value to many species, as well as heat. Red or black night-viewing bulbs, also marketed primarily for reptiles, are useful at night, or in situations where additional daytime illumination is not needed; birds do not sense the light they emit and hence will not be disturbed while sleeping. Infra-red ceramic heaters, available in 40-250 watt strengths, provide warmth without light and so can be used by day and night. In my experience, ceramic heaters spread heat over a wider area than do incandescent heat bulbs, but do not provide the room-wide coverage that is possible with oil-filled radiators. Light is important to birds for reasons other than heat generation. More and more studies are showing that UVA and UVB radiation helps maintain strong immune systems, and encourages natural activity levels and breeding. Full spectrum bulbs designed especially for birds are now readily available; please see the article below for further information. 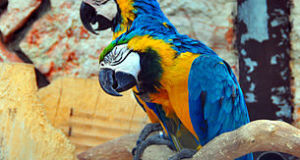 There are also Infrared Heat Panels that can be hung on a wall or attached to the cage. The panels come in 4 sizes and the heat is controlled by a themostat. 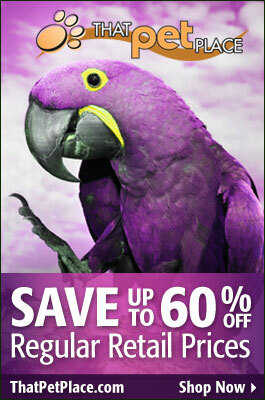 Check out http://www.avitec.com. Thanks for your interest in our blog and the most useful suggestion. I’ve not used those specific panels, but have had good results with a similar product that was mounted on the walls of several reptile exhibits. I designed. Hi there. I am picking up my 4 month old baby cockatiel in a week or so and our house gets very cold. I put his cage in our closet next to the bed. We do have a apace heater but during the night my boyfriend gets too hot and turns the heater off. I was thinking of hanging some fabric in the doorway of the closet and then putting a heat lamp heat lamp above his cage… We ae on a tiht budget. Any ideas? Thanks! 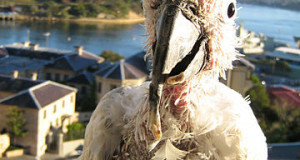 I am elderly and have an African Grey Parrot who is 20 years old. I keep it warm for my birds and all is ok at the present time. Someone wants the bird if I get unable to care for it. They do not keep their house warm like me, it is 50 to 60 degrees in the winter. I am afraid to give her to him. What is your opinion? Thanks, I am very worried about this. I raised a cockatiel to the age of 24 years and 8 months. I raised a starling to one month lacking 17 years old. I was very careful to keep the house warm and free of drafts. Congrats on the outstanding longevity! Very nice to hear about the starling…very interesting, intelligent birds (please see here).